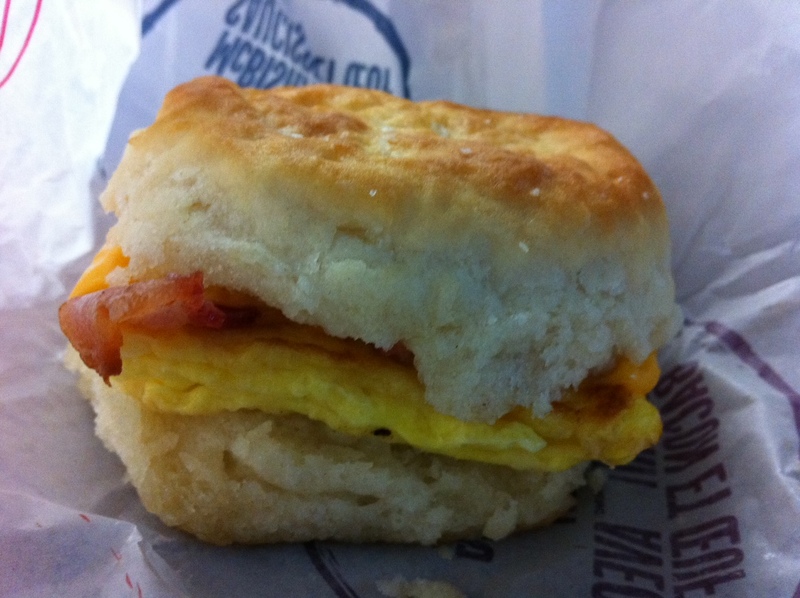 McDonalds ‘Free’ ButterMilk Biscuit…When it’s Free just roll with it! 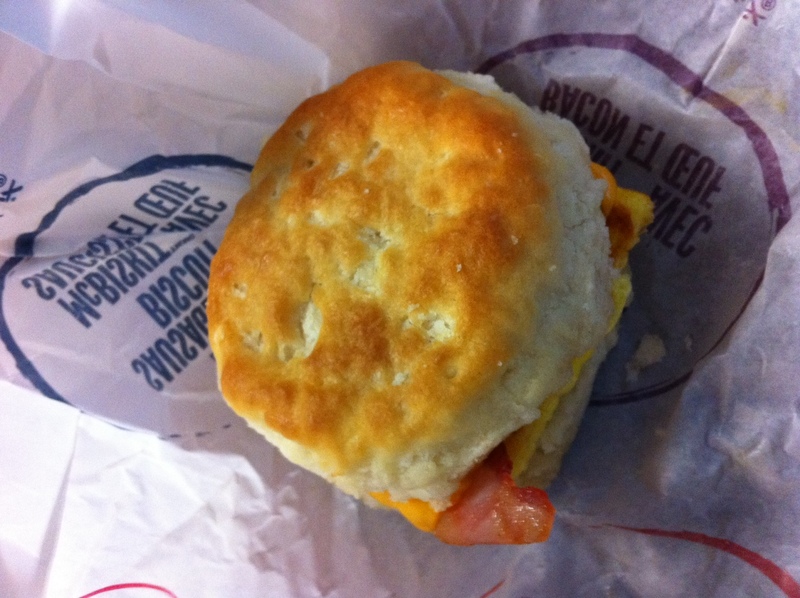 T’was the morning of February 9th, 7:32am and the McDonalds drive through was long…the anticipated wait of the free Buttermilk Biscuit! Ok, not going to write you a story about my free Buttermilk Biscuit, but when anything is FREE you just roll with it! – I was tempted to get in on trying the new buttermilk Biscuit, off the top it was ok. they say Free and actually it is Free, but maybe cause I am not super cheap, I feel guilty going there and not buying something and taking the biscuit for free, so I ordered a hashbrown and a large coffee (by the way McDonalds Coffee is #1!) – so actually it ended up costing me about $3.00. 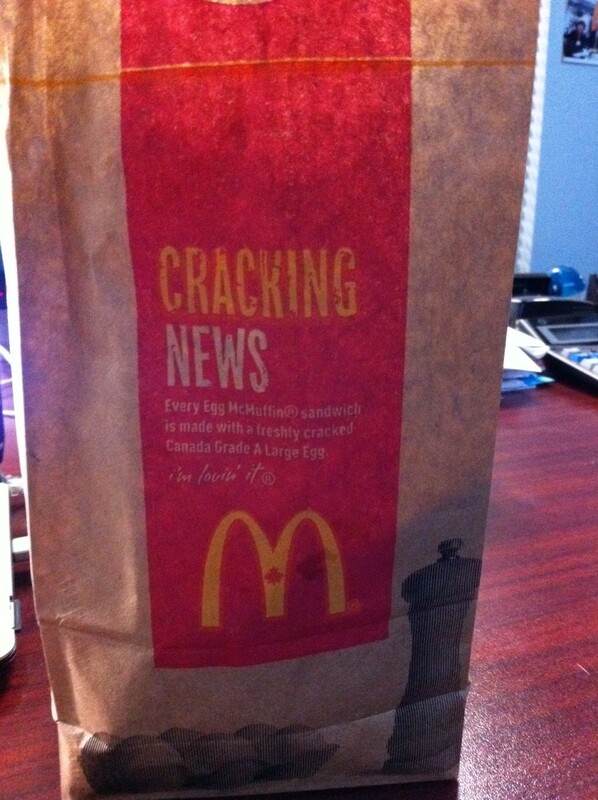 When I got to my office, I opened up my McDonals paper bag…I hate the smell of the paper bag all the time..it bugs my nose. Also I laughed cause the bag says ‘Cracking News” which just sounds retarded…anyways… Opened it up and to my surprise it looked like these biscuits my mom used to make when I was a kid! So I was quite delighted! I took a chomp into my biscuit and was like ohh yeah just like momma used to make them…but then there is this funny texture of dryness, but it is not dry. I don’t know what it is…its crumby… flaky.. i’m not sure! 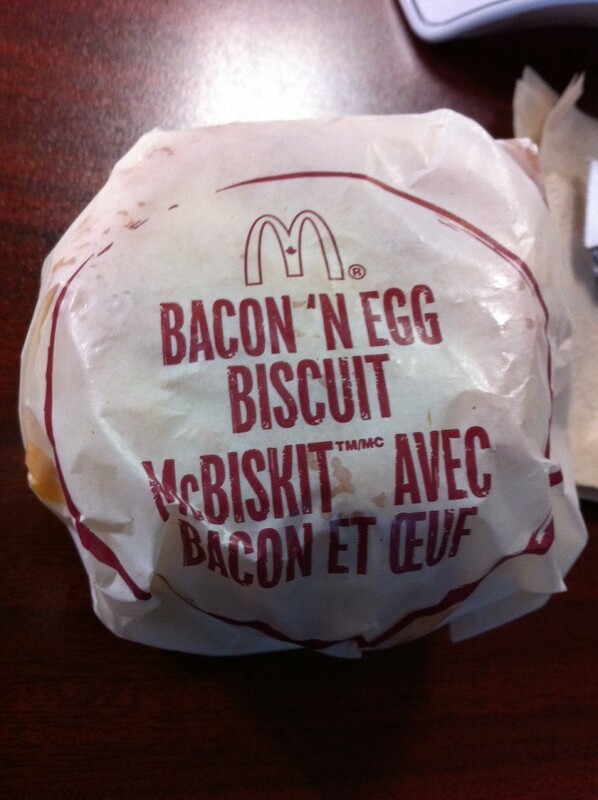 the Egg is very square and the bacon was little (what do you expect for free! 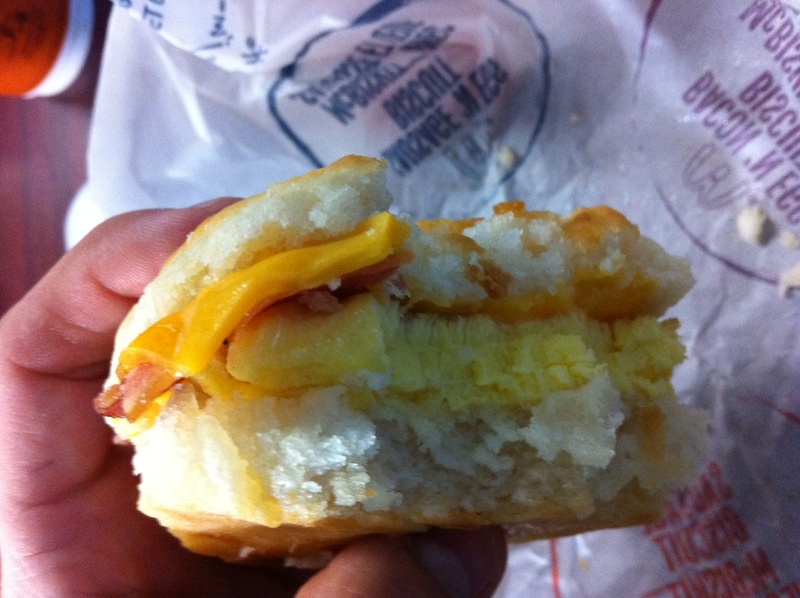 )…overall it was fairly decent, I will probably stick with my bacon and egg McMuffin, but on occasion I would definitely enjoy a buttermilk biscuit. Ps. You too can get a free Buttermilk Biscuit from McDonalds today and tomorrow – check out http://www.mcdonalds.ca for more information.